13.3.2014 – Some bugs makes it always through. Fixed three little naggers. A german sample was cut off, there was a german sentence in the english manual, and i changed a sentence in the how to. Version is 1.0.1 now. The downloads stays the same. 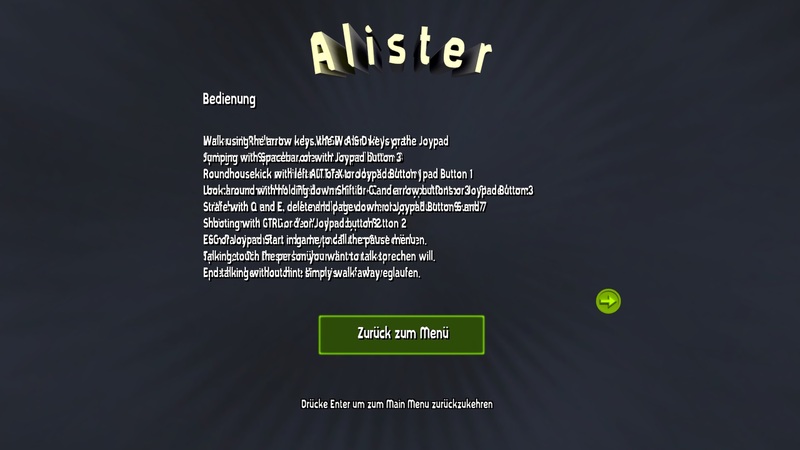 10.3.2014 – Alister is a 3D Jump n Run with puzzle elements. 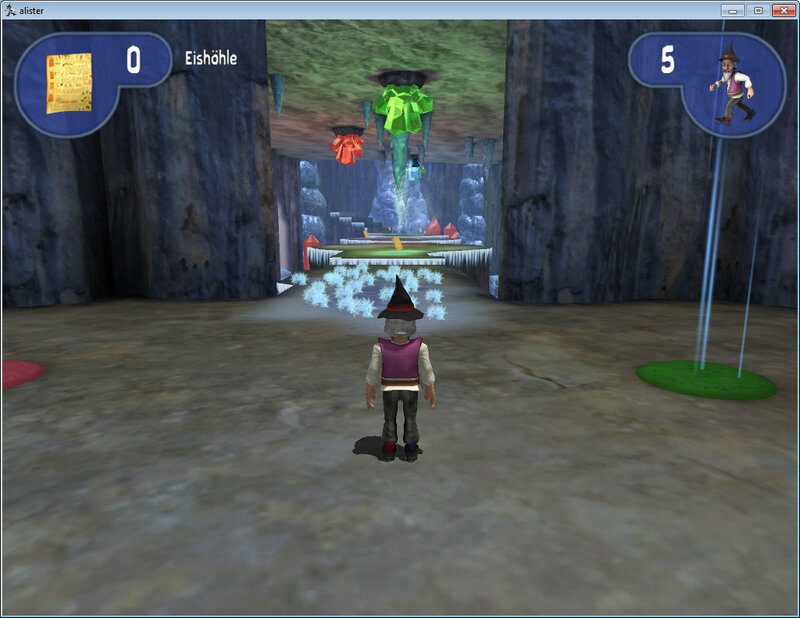 You lead your hero through a 3D world, collect book pages, avoid traps and defeat enemies. 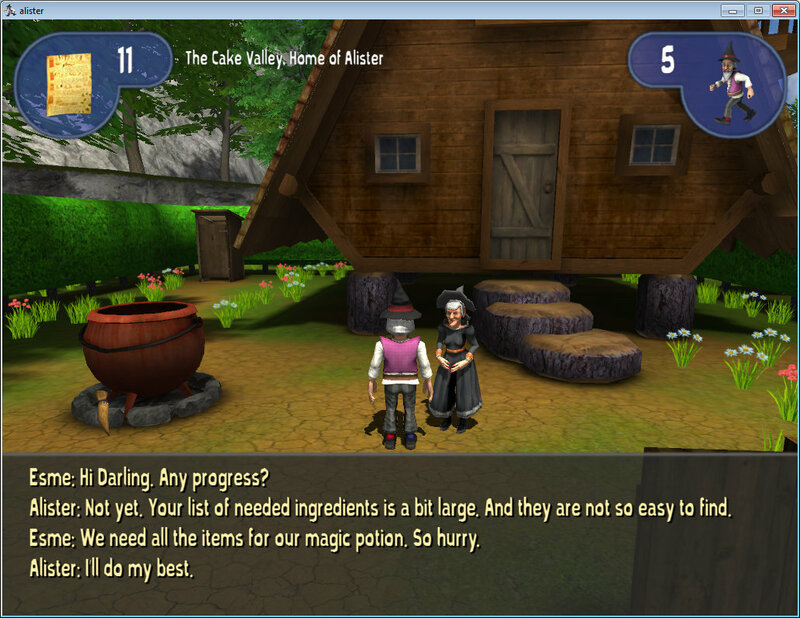 And you have to solve riddles to receive items for a magic potion. The game comes in two languages. It starts in english language. But can be set to german in the Options. The game is made for three platforms. Windows. Linux ( Debian or Ubuntu should work fine), and Mac OS X. You can choose between an installer and a Zipfile for the Windows version. 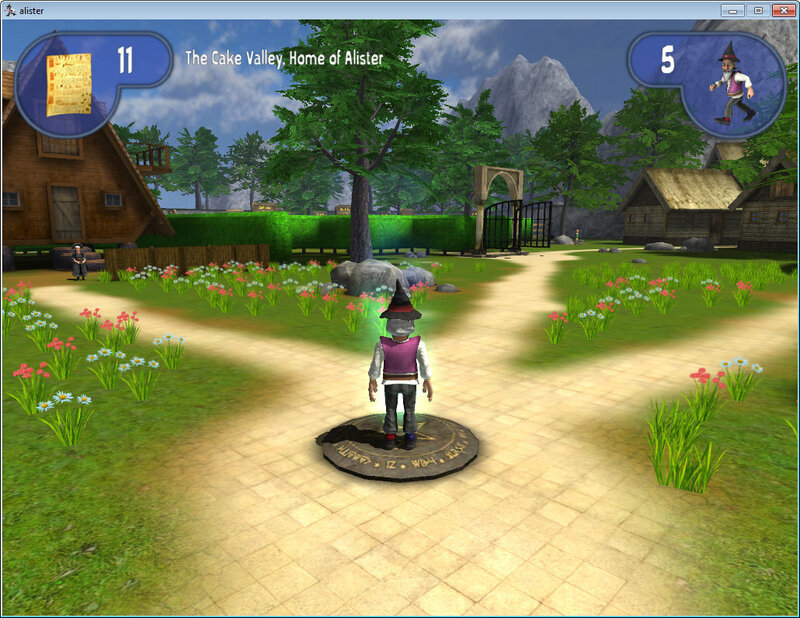 The game was developed with Unity. Here is a little walkthrough in case you get stuck somewhere. But you should really wait with reading until you are stuck. Awesome game Reiner! definitely worth playing. Congrats on finishing it. Hatte einfach neugierigerweise mal so auf Deine Webseite geschaut, und gesehen, dass Alister seit März fertig ist. Da hat sich nach der Alphaversion ja noch Einiges getan – Respekt! 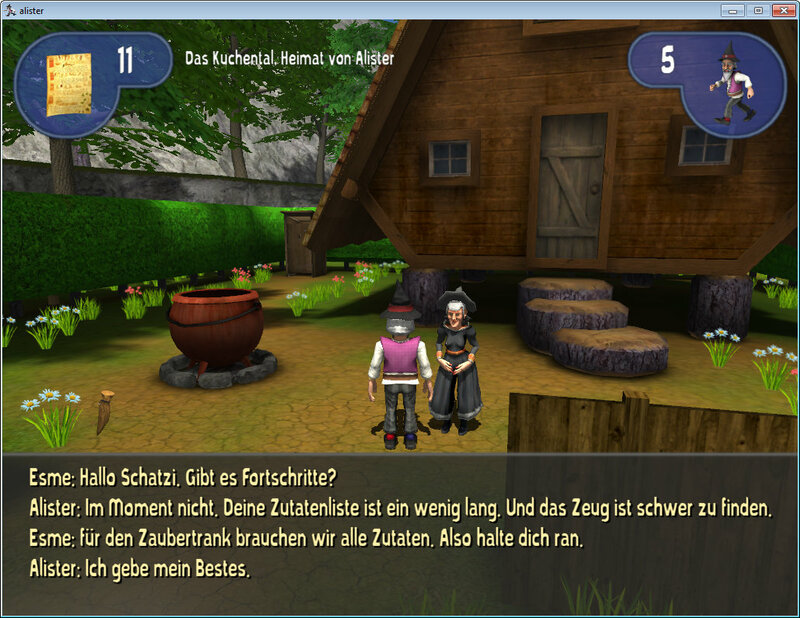 Das Spiel ist wirklich klasse geworden, die Rätsel in den Leveln haben mit sehr gut gefallen und waren abwechslungsreich, die humorvollen Dialoge passen auch gut in das runde Gesamtkonzept. Ran very slowly – should have used C++. Thanks for the feedback. And sorry that the game ran slow for you. The speed of a game has nothing to do with the language you choose for development. It is just one of many factors. 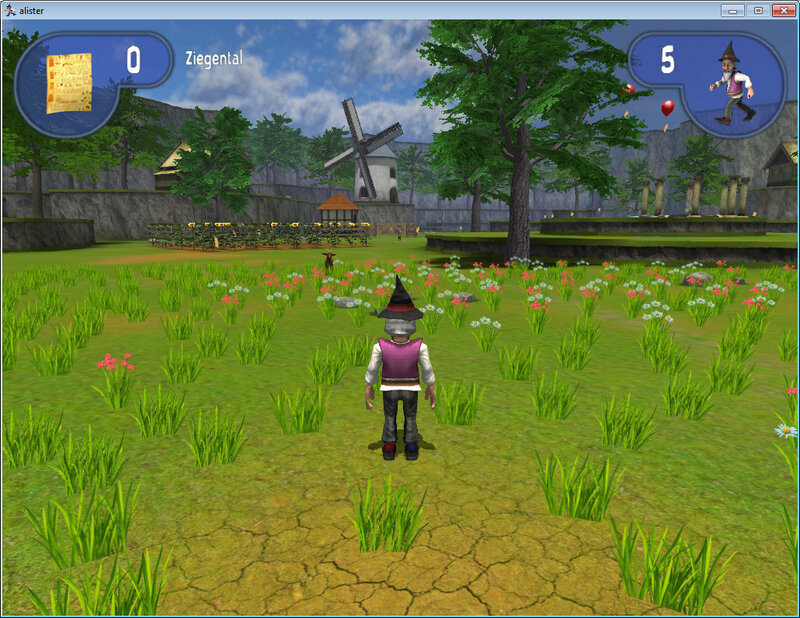 The most important parts are Graphics, shaders, resolution etc. C++ wouldn’t have helped anything here, since i use Unity. And you cannot use C++ in Unity. Alister shouldn’t run slow really. It’s most probably your system. Alister ran perfect with full fps at my four years old system. it runs even perfect at my laptop, and that’s a really weak machine. The only thing that i can suggest is that you try to run in lower quality mode, and with smaller resolution. 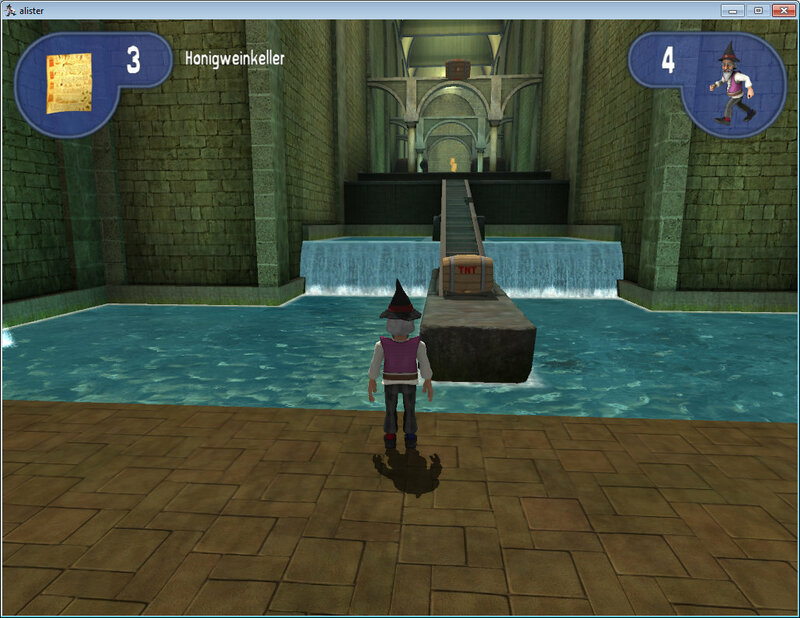 Great work Reiner, the game is excellent (but pretty hard!). Game balance is always a special chapter. Make it too easy, and people won’t play. Make it too hard, and people won’t play it neither. But i think i found the right balance to stay challenging while not being too hard. Reiner, I’m a fan. 🙂 And you should charge cash for the Alister game, it’s high quality. if I intend to import them in Unity, does Unity have a border-cutaway HotSpot feature like Clickteam Fusion? Thanks.